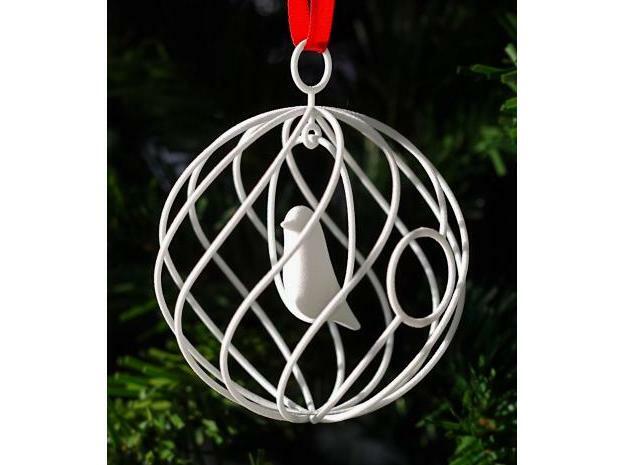 Shapeways’ Merry Bird Christmas Ornament is elegant and unique in the fact that the bird can actually swing back and forth and was printed without any need for post-production assembly. The ornament was actually designed by SoonSalon and is available for $55 in a multitude of colors. It’s that time of year again when people throw up a tree and decorate it with personalized objects for celebrating Christmas. 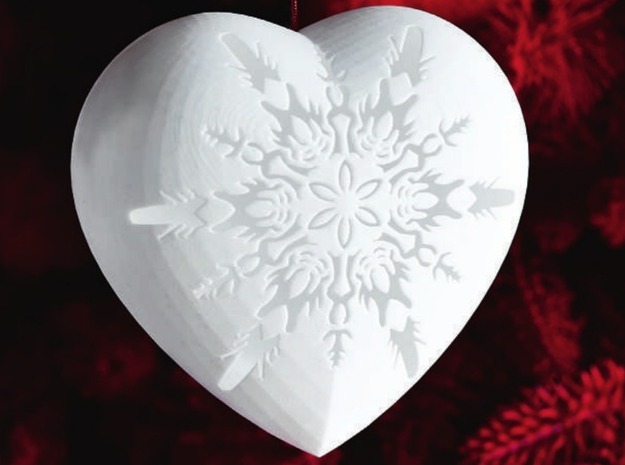 Instead of using the same mundane store-bought multicolored spheres, more people are turning to 3D printed decorations that have a more personalized aesthetic. The revolution of 3D printing technology has allowed users to create anything and everything and Christmas decorations are no different. Some of the more interesting and unique pieces have been gathered to highlight the Holiday Season. 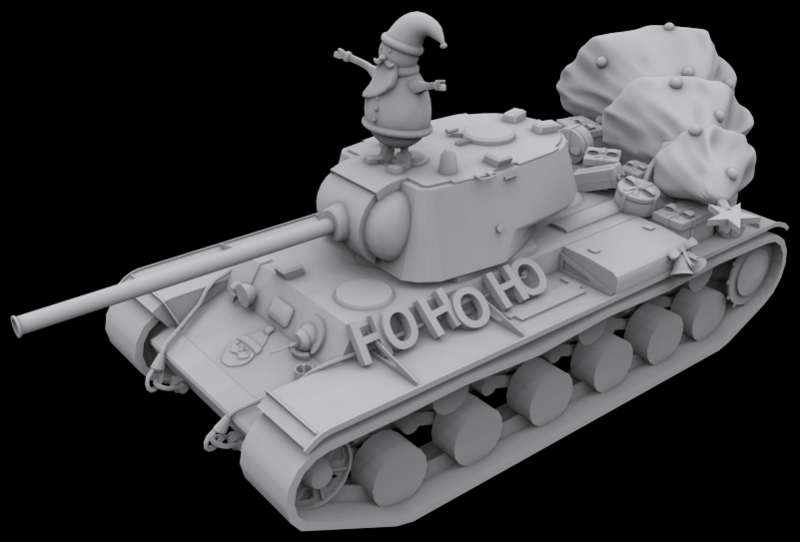 Nothing say’s Happy Holidays like Bogdna’s 3D printed Santa Tank. The designer included an interesting story as to why Santa is riding a tank rather than his sleigh. Suffice it to say it involves stoned reindeer and relics from the ‘World War’, with a mission to deliver presents at all costs. 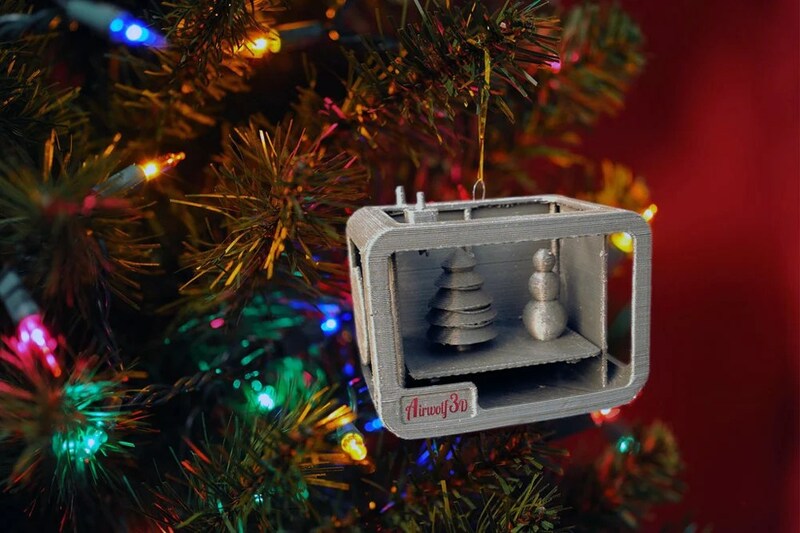 The irony isn’t lost on StemenInc’s 3D printed 3D Printer Christmas Ornament, which features a 3D printer printing Christmas ornaments. StemenInc designed the ornament using an Airwolf 3D printer for the 2014 White House Ornament Design Contest. Unfortunately, the design didn’t win but that doesn’t take away from its uniqueness. 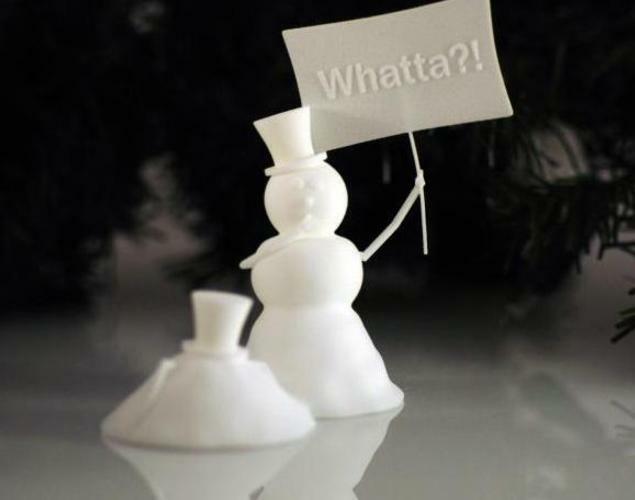 Strangely enough, Shapeways has designed an ornament that brings horror to the holiday festivities with their ’Snowman Murder’ decoration. It can be had in multiple materials, including metals, plastic and sandstone starting at $31.82 for simple white nylon up to $251 for the 24k gold version. Shortly after Christmas comes the New Year and while every country celebrates the beginning of the new year in their own way, some are more popular like watching the ball drop in NYC’s Times Square. 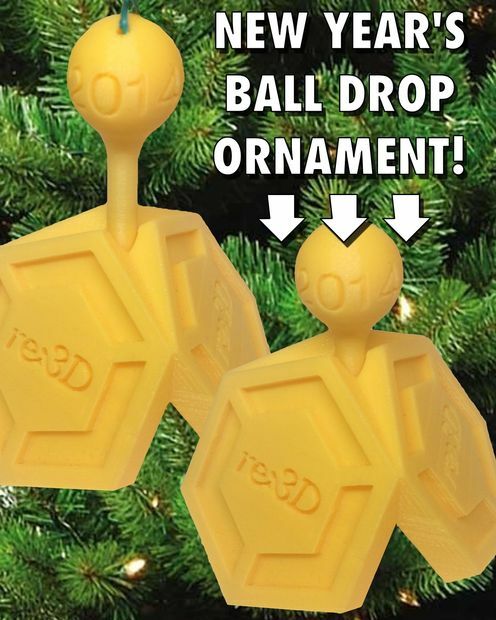 To commemorate the celebration zombiesecks designed his 3D printed ornament to approximate the ball drop, which has happened annually since 1907. 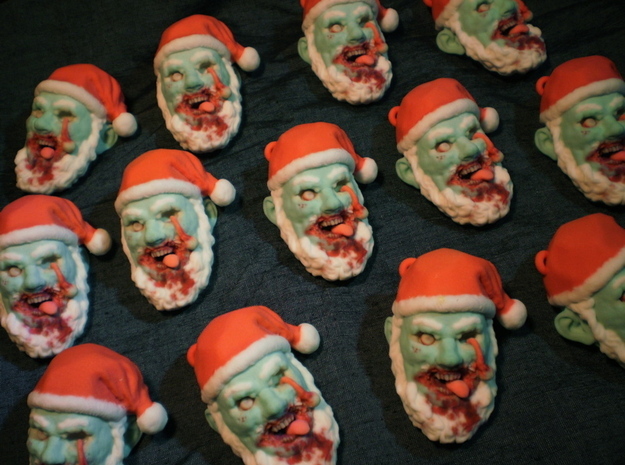 Keeping with the holiday horror spirit, OfCorpseYouCan’s Zombie Santa Christmas Ornament is a great addition for fans of The Walking Dead. Unfortunately, it only had a limited run back in 2012 and is no longer available for purchase, however the designer states he will have other horrific designs sometime in the future. Sometimes invincibility can come in handy during the Holiday Season and how better to gain that invincibility than with a Mario Bros. power-up star. 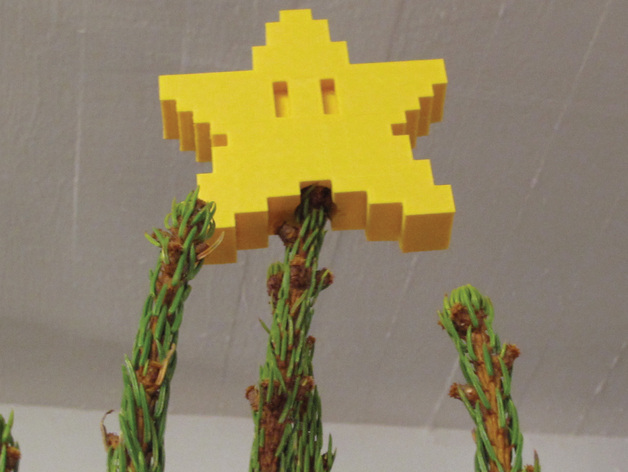 Designed by knape, the Pixel Tree Topper Star is the perfect choice for videogame fans of all ages. Disclaimer: Doesn’t actually provide invincibility or super powers of any kind. As the saying goes, ‘what’s Christmas without weapons?’ Well maybe that isn’t a ‘saying’ at all but back in the day it wasn’t uncommon for kids to get realistic looking toy guns and other weapons for Christmas presents. Keeping with tradition, theantonius designed his 86 Shooting Stars 3D printed gun ornament as an homage to those carefree, weapon-loaded Christmases and as survivor gun violence (he was shot by a stray bullet intended for a pregnant woman). 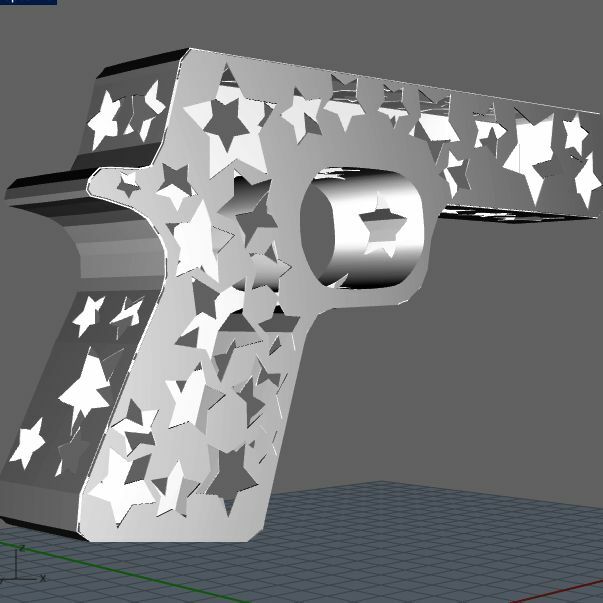 The 86 stars represent the number of people killed by firearms each day and the gun shape itself represents 3D printed firearms. For those Facebook fans who thrive on how many ‘likes’ they get per day will appreciate Italian designer Luigi Vaghi’s Sphere Full of Like Buttons ornament. 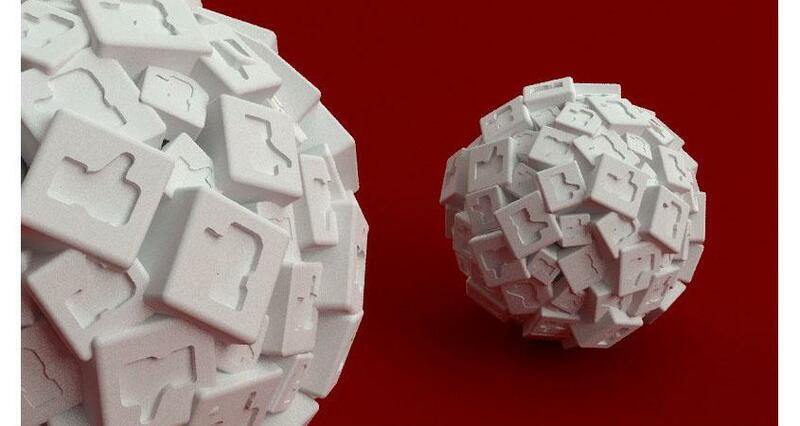 The ‘like ball’ is actually a conglomerate of many ‘like’ cubes fused together. Vain? Sure, but there are many fans of Facebook who have had the ‘like’ sign tattooed onto their bodies, which makes this the perfect holiday ornament.